KoopaTV: Splatoon 2 Splatfest: Which Came First? CHICKEN or EGG? The simple reason that I am a believer in the Chicken coming first is because I'm a Creationist. One of the very first parts of Creation is that the fowl were generated, and then they were ordered to multiply. Fowl, keep in mind, are a broad of animals that chicken belong to. The fowl were then brought to man to be named. You see that order? The fowl, in their complete form, were spawned first. Then they were ordered to multiply (make babies). That means the eggs came after. This is then confirmed by the first human naming the chicken, not the egg, which means no one had to wait for an egg to hatch. That naming ceremony happened right away. Marina is firmly against Creationism, rejecting the fundamental outcome of it (that the created beings have free will). Some may point to some science-fiction claiming that according to EVOLUTION, the chicken didn't exist until millions of years of evolution and mutating DNA. They then question what a chicken even is (isn't their whole field of biology supposed to make that determination? ), and what a chicken egg even is (also a biological question), and then turn this whole question into a matter of over-complicated semantics because they are trying to hide the fact that the scientific position on this is nonsensical. But what if THAT EGG HAS A TASTY SHINE? Egg-clingers will counter that Arceus emerged from an egg, and Arceus created His direct subordinates (Dialga, Palkia, and Giratina) by eggs as well. Arceus summoned this egg with a legendary Pokémon inside. Once hatched, the legendary is level 1. As it relates to the chicken, however, there is no evidence that Torchic originated via egg and not direct creation. We know that Arceus and His 1,000 ARMS (welp, I just ruined Arceus) shaped the world. He can create things without stuffing them in eggs first. My belief is that He only did the whole egg thing with legendary Pokémon to demonstrate His superior power over mankind and their pathetic advancements in science and biology. According to man's understanding of the natural world, legendary Pokémon cannot hatch from eggs. Their egg group is Undiscovered. Yet here is Arceus, popping eggs like they are nothing. HE has sure discovered it! Arceus's egg routine is not a necessity, but merely to show up humanity. Therefore, it is perfectly plausible, as well as likely, that the first Torchic did not come from an egg. 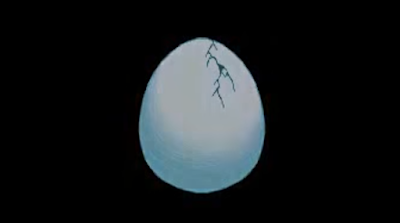 No need to show off the egg thing on a Pokémon that naturally hatches from eggs. Arceus is all about making the naturally impossible possible, hence why He dedicated an entire one-third of creation to Giratina and the mind-screw Distortion World. I think I just took down Team Egg's best argument. If you have any other points you want to discuss, put them in the comments section below. We can have a nice dialogue. 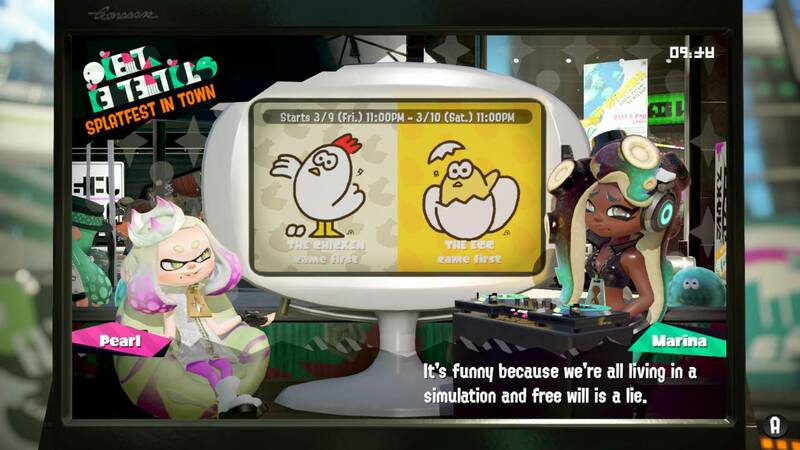 Ludwig's reasoning for why he is on Team Chicken is actually one of the more straightforward Splatfest explanations that exist on KoopaTV. 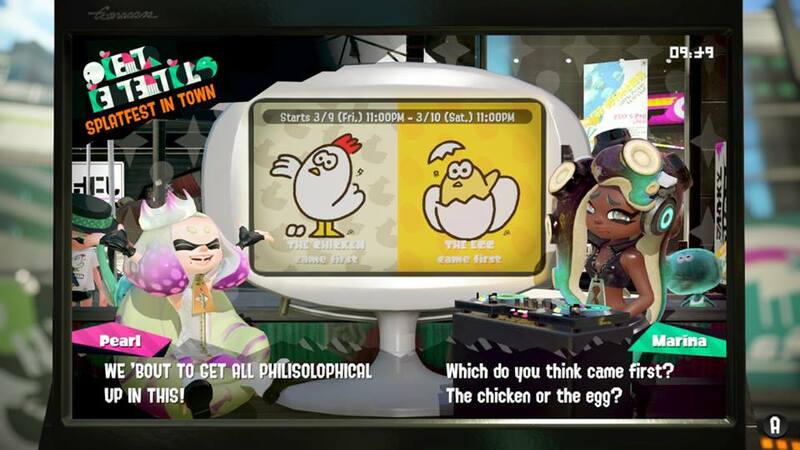 He isn't sure how Pearl or Marina could know what a chicken even is, but he is sure that Marina is wrong regarding the lack of free will. Would KoopaTV exist the way it does if free will did not exist and everything was a pre-programmed simulation? This is all organic creativity! The previous Splatfest article on Money vs. Love generated scripture-based discussion in the comments, so the Chicken vs. Egg article being entirely based on scripture makes sense, right? The fun part about Judaism is there can be many different ways to interpret the Bible. Rashi actually finds evidence that some eggs might have been created before the actual living animal and therefore the animals would hatch from the eggs but it only for those on day 5 which includes the fowl. He bases it on how the verses are written for animals in both day 5 and 6 and he contrasts the verses. Hamodia is a Hareidi newspaper who would most likely snap if someone tells them evolution is real so I trust that they would know this particular Rashi well. Rashi also lived centuries before Darwin so he is not being an apologetic to the theory of evolution. Rashi is also a very respected commentator on the Bible. Children in Hebrew schools usually start with him over other commentators. I still have not chosen a team yet as of this comment. Also maybe Marina is right, at least about herself and her fellow contemporaries. She is an octopus after all and according to the Bible, only humans have free will. "living creatures: That there should be life in them." "living creature: a creature in which there is life." As far as I'm concerned, "there should be [will be] life" doesn't mean "egg" to me. That doesn't suggest an intermediary, physical step. ALSO, the swarm of living creatures, in terms of sentence structure in the text, only applies to the fishies, not the fowl. Marina spoke for the entire world ("we're all"). It's entirely possible that she's just short-sighted, though, or she placed emphasis on the "living", given the non-living status of humans. "Creatures that shall have vitality." "He formed them with their full volition and in their full stature"
Yeah, I see you're on Team Chicken, officially. Per the commentary, The Creator spawned all the animals on the first day, and then they just kind of floated there or something until their appropriate day were they were put into their proper place and setting. So the fowl existed, but they weren't flying (because they were CHICKS!) until the day where He made it so. As for the cutie cattle, perhaps they too were babies. But not embryos. I'm on Team Chicken for similar reasons such as your's. I just could not see how the egg came first if there was not an original chicken to lay it. Starting with the egg seems like an unnecessary step.